blog of issie - drawing, cats and stuff: Lemur love. I am blessed with friends that apparently know about my secret life wish of snuggle with lemurs. 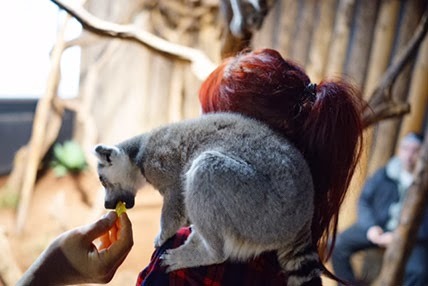 I will never ever forget the feeling of the lemurs tiny, cold and a little sticky hands, when they impatiently grabbed my arm, hands and fingers to get raisins and grapes. 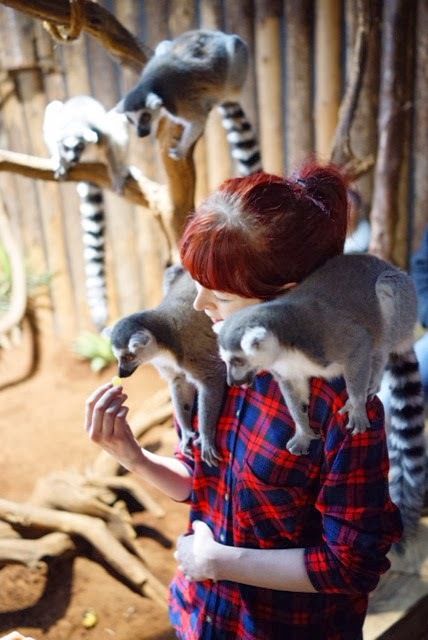 Lemurs are vegetarians and so unbelievable friendly, it was such a touching experience. They will stay in my heart forever. These guys lives at the Helsingborg Tropikarium, a place where the personnel seems really knowledgeable about the animals and work towards maintaining certain species in the world. They also put down a great part of their time educating the visitors about it. The lemurs only natural habitat is in Madagascar and its surrounding islands, and they are threatened by the desolation of the rain forest.